This past holiday season, the question asked of every college senior popped up at the dinner table: What are your plans after graduation? Eleven pairs of eyes swiveled toward me as I cleared my throat and set down my fork. Angone, a keynote speaker and the founder of All Groan Up, a millennial-targeted website, tackles juggling expectations with reality, the struggles of forging and maintaining meaningful friendships in adulthood, navigating the work world and the late night blues of social media. He shares these nuggets of wisdom with wit, self-deprecating humor and a down-to-earth attitude. For me, life does not feel like it’s supposed to. I’ve studied journalism for nearly four years, but my major feels more like a lover than a soulmate. And I don’t have a job lined up after college like I’m “supposed to.” I do know that I love to write narratives, capture life with my Canon Rebel t3i and travel. I’m positive that I can’t stomach needles, calculus and computer programming. I’ve crossed dozens of careers off my list. One day, I’ll find the best one for me. Not everyone follows the same clear-cut career path. One secret in particular, Secret #25, hit home hard. Last June, “failure” was the only word I could think of. I had applied to over 20 internships, but hadn’t landed a single one. For a few weeks, I was an Internet-surfing vagrant. I sat in my bed, scouring Indeed, Mediabistro and LinkedIn for last-minute openings. I typed cover letter after cover letter in an attempt to feel optimistic rather than envious of all college students who had an internship. By mid-July, I ended up becoming an intern at two companies in Manhattan. But I’ll never forget how I felt at the start of the summer: dejected, ashamed and defeated. Moral of the story: There’s always a light at the end of the tunnel. Some people have longer tunnel lengths, but you’ll get to the end. For any reader feeling gloomy, Secret #41 is just what you need. It’s a secret disguised as a zany, foot-tapping nursery rhyme that will remind you of Dr. Seuss’s “Oh, the Places You’ll Go!” The only difference is that the Sneetches, the Whos and the Fox in Socks are not the stars of the show. The star is you, the lost reader, and Jeopardy! host Alex Trebek – the guy who seems to have all the answers. 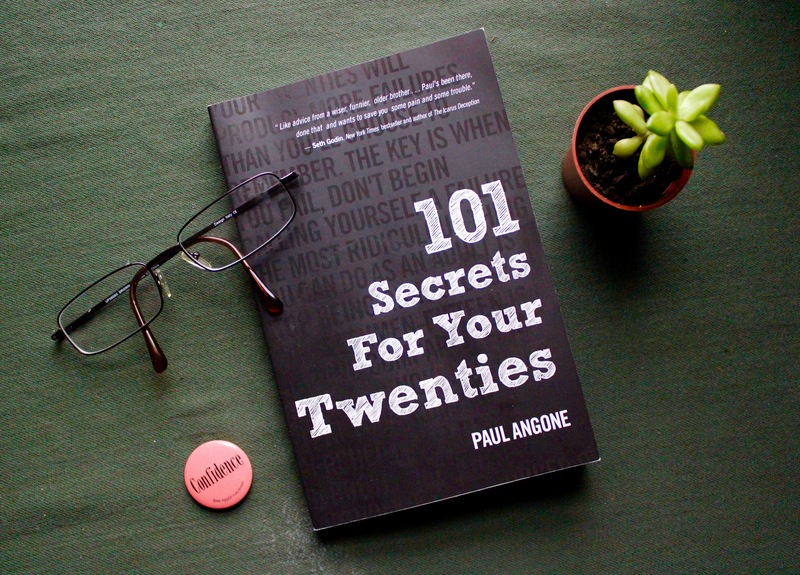 “101 Secrets For Your Twenties” is an inspirational read. Personally, it spurred me to do two things this winter break: 1. Ask my parents, aunts and uncles how they got to where they are now and 2. Map out the first draft of the story of my life – the life I want to live and love.